Sunday, May 13, is Mother’s Day, a day when we celebrate mothers, grandmothers, and all women who love, nurture, and care for all of God’s children. In light of this day, we are struck by the cruel irony of Attorney General Jeff Sessions’ recent announcement that our government will separate children and their parents rather than keep families together in detention centers. 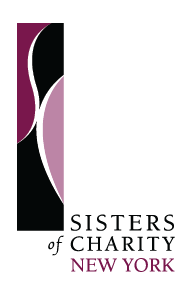 We, the Sisters of Charity of New York, are truly horrified by Mr. Sessions’ announcement and the position taken by our government. Even in the event of unlawful entry, the separation of children from their parents is indefensible. Such action is inhumane and beneath the dignity of the United States of America. We call on our elected officials and all to speak out against this injustice and demand an end to the separation of children and their parents. We ask all to join us in praying for a humane and compassionate resolution for our brothers and sisters who have arrived at our border seeking a better life for their families. Thank for, dear Sisters of Charity, NY, for your e-mail and for urging all of us to act against the horror and cruelty of this latest directive from Attorney General Jeff Sessions, separating children from their parents. I will immediately contact my elected officials and will also send your e-mail to family and friends. Thank you for this statement. Let us join together in pray that our elected officials will have the courage to speak out.